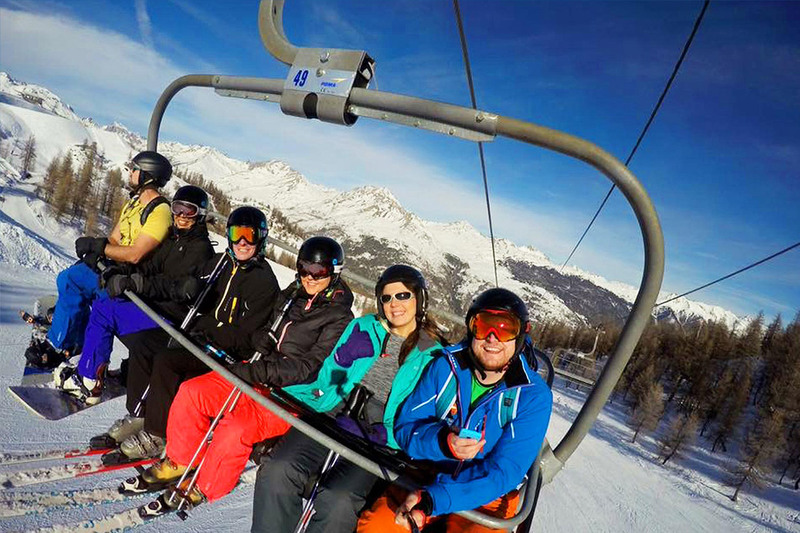 Serre Chevalier is one of the largest ski areas in the Alps boasting over 250km of pristine pistes. The resort with is spread over 4 areas: Briancon, Chantemerle, Villeneuve la Salle and Monetier, at the gates of the Ecrins National Park. The ski area is diverse, having many tree runs and wide open bowls in a number of inter-connected valleys running the length of the resort. 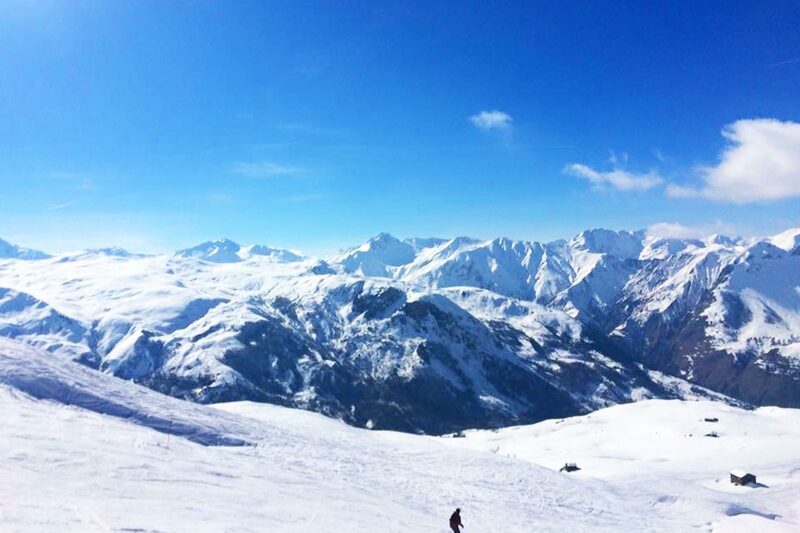 It offers great skiing in a high mountain atmosphere, peaceful skiing in the mélèzes woods, family skiing in special areas and perfect for snowboarding and adventurous off-piste trips, there really is one Serre Che for everyone! 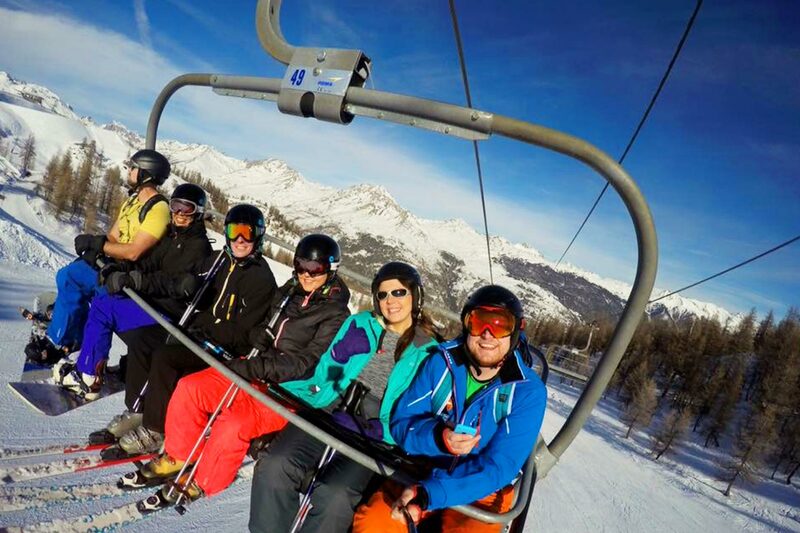 Join us for some superb skiing in beautiful French resort, Serre Chevalier. We will be staying in Hotel Chalet Le Petit Sport. Le Petit Sport is set on the edge of Villeneuve just 400m from the Pontillas Gondola station, with the ability to ski back to within 250m of the door. This is budget accommodation but has been great every year with excellent food and staff. 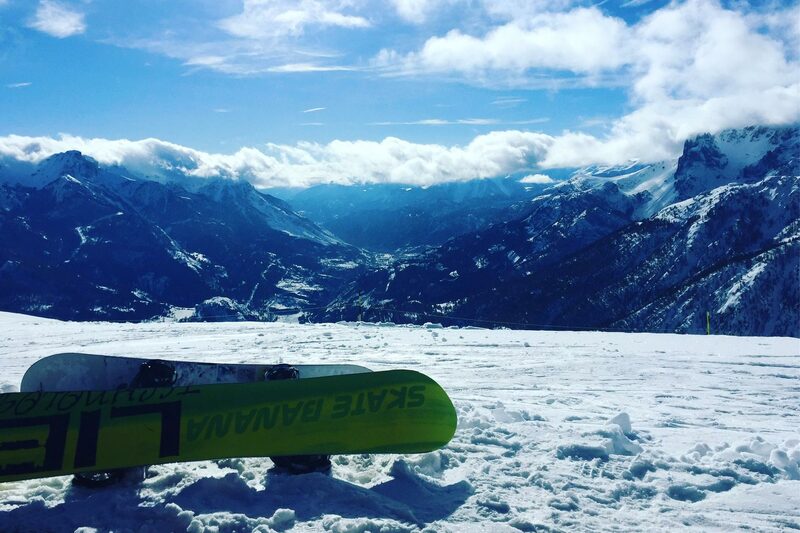 Villeneuve is at the centre of the Serre Chevalier valley, making it the perfect base to explore the area. 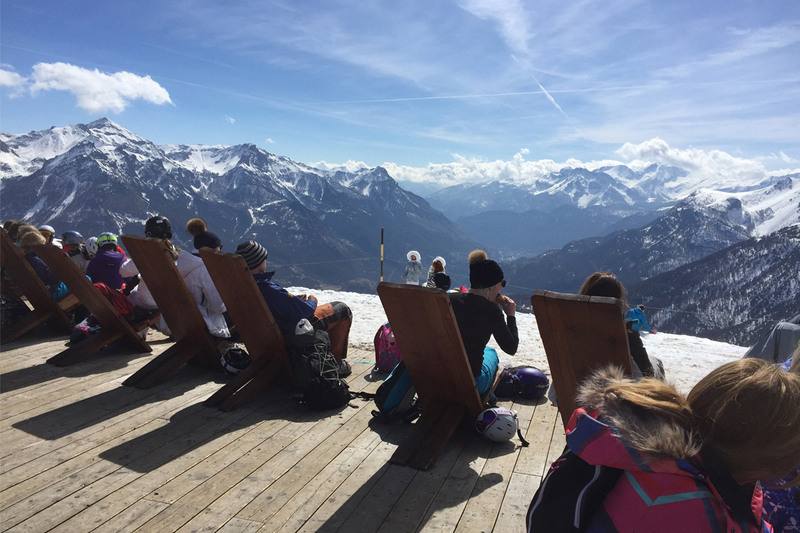 Although it is only a short walk from the chalet to the lifts there is a free shuttle bus connecting the chalet to the lifts and village centre, as well as other villages of the resort. 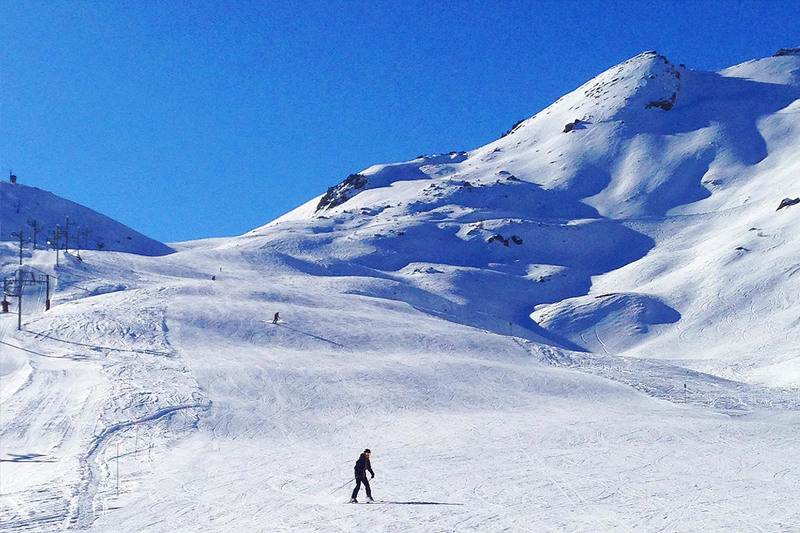 The largest of these is Chantmerle which has many restaurants, shops and lively après ski. The picturesque village of Monetier is famed for its natural warm thermal baths. Villeneuve allows easy access to Briancon, at the heart of which is a beautifully preserved fortified medieval city. 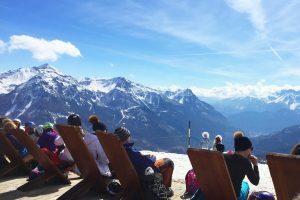 Briancon, Europe`s highest city, has plenty to offer both skiers and non-skiers alike, including regular markets, wonderful sightseeing and a feared Ice Hockey team. 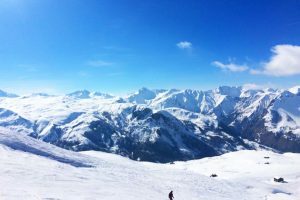 An added advantage is that your local ski pass includes a day at each of the resorts of Montgenevre, Alpe D`Huez and Les Deux Alpes. As usual we will be using the wonderful guys at Ski Connections for Rental and Lessons if required. You will be able to avail of a small discount on all lessons. Your package will include a standard Blue level rental pack including skis, boots, poles and helmet. Should you wish to upgrade your pack you can do so at a small additional cost. 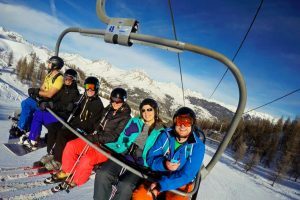 Snowboarders will also have a small extra charge for their rental should they want a full rental pack (Board, Bindings, Boots, Helmet). 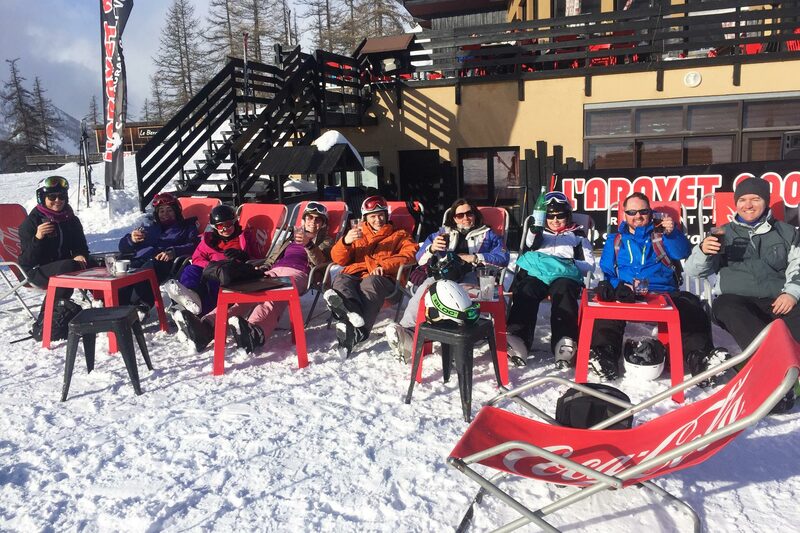 Lessons are not included in your package however we can arrange lessons for all levels with Ski Connections. Should you wish to take the 6 Day lessons we will pre book these for you prior to the trip. If you are thinking about taking some Private lessons, these can be book on arrival at the ski school. 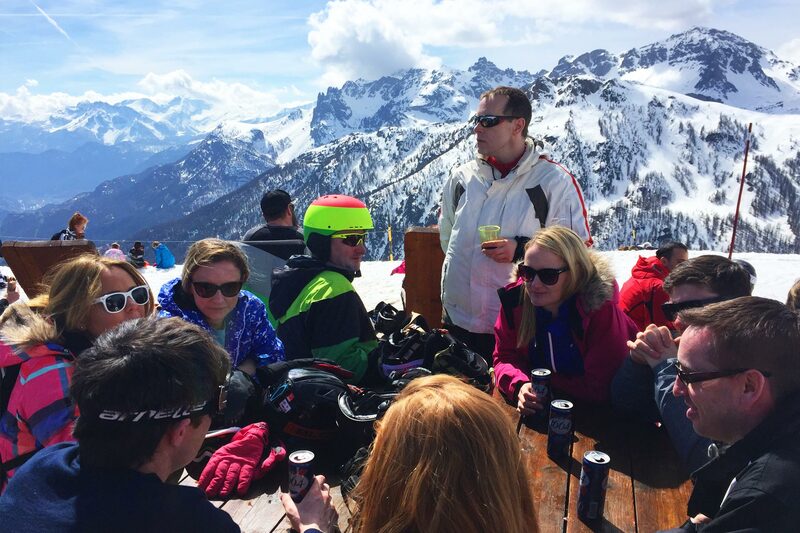 All lessons should be paid for on arrival at the ski school. Flights are the NOT included in the package so each individual will need to book their own flights. However, we will always recommend flights & times etc. so that the group can travel together. 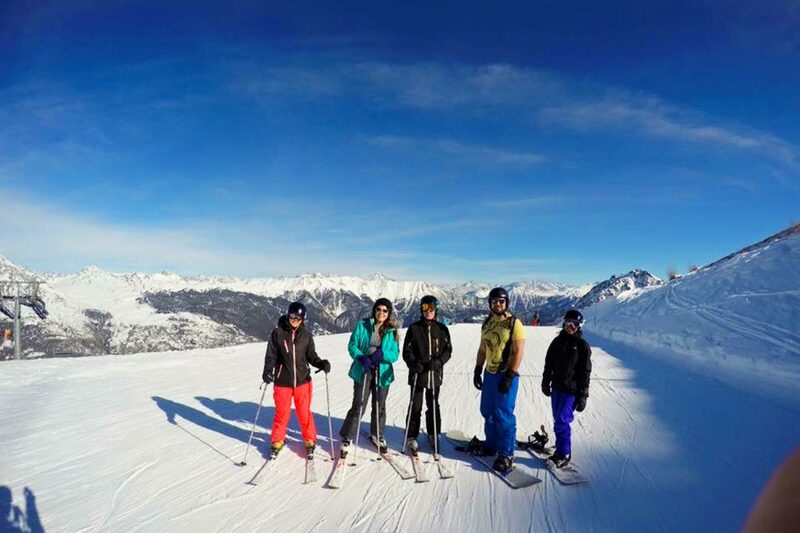 Each trip member MUST have their own Travel Insurance with activity cover for Winter Sports. Go Beyond Adventure will require a copy of each members insurance policy prior to departure. Private Airport Transfers are included in the package to & from Turin Airport with the Alpine Transfer Company. 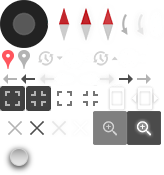 These are door to door transfers so no being dragged around all the hotels in the resort! Please note there will only be one transfer time so please consider this when booking flights. there will be no reduction in price as this is a package deal. Its almost too easy at this point, if I want a great adventure holiday I just give Dane a shout and let him do all the work! Just got back from my 4th trip with Giddy Gally Adventures, another awesome week climbing in the sunny south of Spain after also going on the skiing trip to Sere Chevallier a few months ago. Both trips were exactly what I needed, good sized groups that are well organised, allowing me to have fun and meet people without worrying about all the small details. While everything is well organised the mood of the trips tends to be very informal, its definitely not a case of your tour guide clocking off once he gets you back to the hotel. 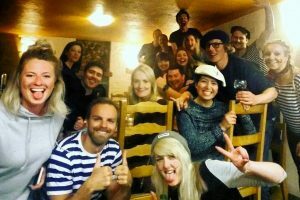 The guys will go for a drink with the group, join in with the skiing, give you a lift if you get stranded somewhere, introduce you to all the locals, grab things from the shop if they are passing and dozens of other little touches that make these trips less like a business transaction and more like going for a holiday with a group of mates. Speaking of business, considering what is included the prices for these trips are crazy good value. You get collected from the airport, brought everywhere all week, stay in an amazing chalet or villa, all tickets and passes are organised, all gear is provided, all food for the entire week is home cooked and served up, any problems are dealt with personally and at the end of the week you get dropped right back to the airport again. If I was to do a low cost week, sorting all my own travel, staying in some crappy hostel and eating noodles all week I still don't think I'd do it much cheaper than what I paid for this! Doesn't make any sense not to go with them really. Huge thanks to Dane, Lloyd and Austin for another great trip, keep up the good work! Ski Trip Serre Chevallier in the French Alps - another awesome getaway with Go Beyond Adventure! Adventure holidays at their very best - it's Go Beyond to the rescue again. 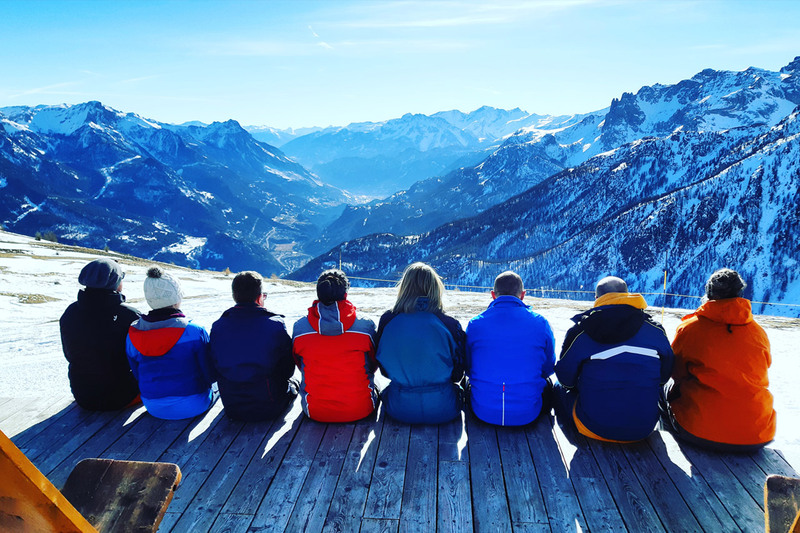 I don't know how they do it but its always the perfect combination of stress free travel, good food, super accommodation and a fantastic group of people and that's before we even get on to the mountain. I spent an incredible week in Serre Chevallier with Dane and the crew. Nothing is left to chance. With Dane at the helm you have nothing to worry about - one smooth operation. What to expect from the week, well... We walked off the plane and on to our transfer, feet up in the chalet within an hour and a half of leaving the airport. 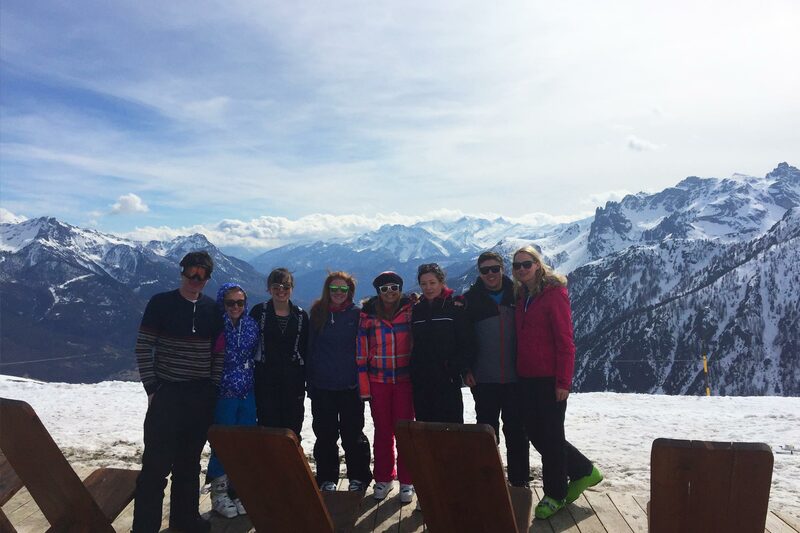 Ski passes, gear and lessons all sorted on the first afternoon. We left the chalet at nine each morning after a relaxed breakfast. Picked up our skis at the bottom of the Arvet lift and after a quick espresso to kick start the morning we were on the slopes for a full day of awesome runs. 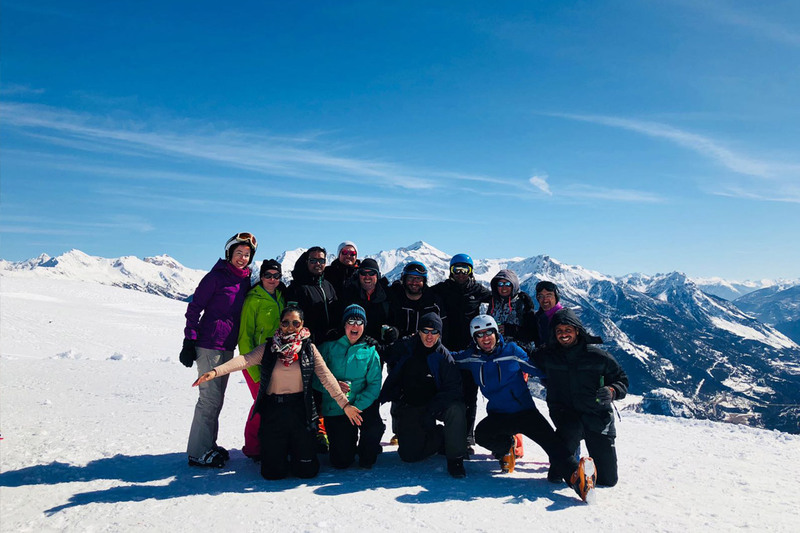 It was a mixed group but the resort allowed for a mix of social skiing and breaking away if you wanted to do more or something a little more challenging. 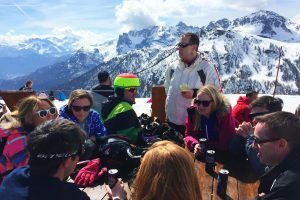 There was an open invitation everyday for coffee breaks, lunch and après-ski so you always had the option of meeting up with people if you wanted a break or to relax in the sunshine on the slopes with a beer and some company. There was dinner in the chalet each night, except Wednesday when the staff had the night off. 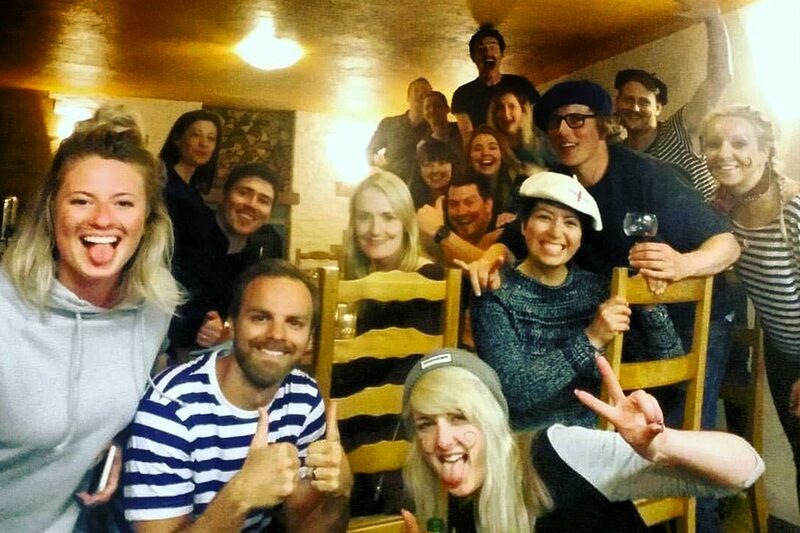 Dane organised dinner for the group this night, again there was the option to opt in or out. I have to say I took the easy option on this one and opted in. Dane booked a table at an awesome restaurant - Eau Petit Pont - and we had an incredible meal right in the centre of the village. Right so, awesome and all as all that sounds that is just the basic for awesome on this trip. Dane also organised an amazing trip to the local hot tubs - Bain Nordique - second only to the skiing - this was the absolute highlight of the trip. 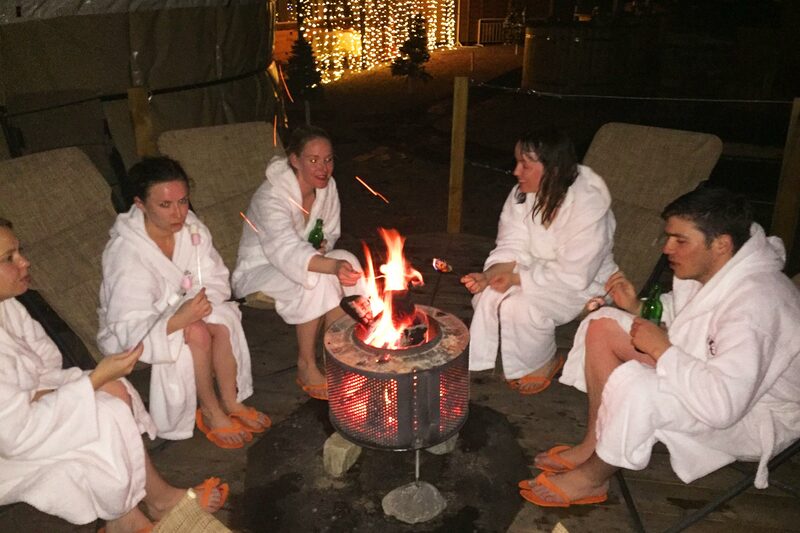 The group spent a very relaxing and laughter filled evening hosted by the fantastic Gonzo, in hot tubs that over looked the slopes. The perfect way to unwind and ease out the muscles. 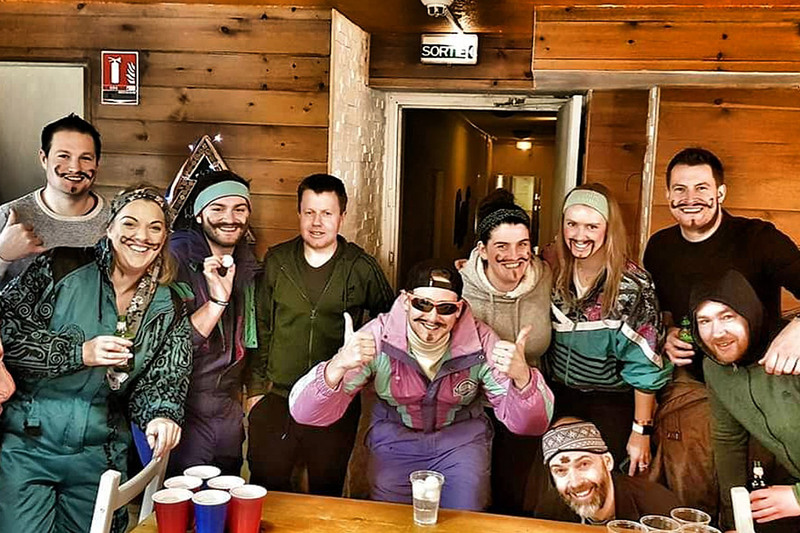 Après-ski extraordinaire! Oh and how could I forget - if you like cake and who doesn't like cake... There was cake each afternoon in the chalet - if you were quick enough to get home and grab some! Go Beyond Adventures made this week long trip hassle free and so easy! From pick-up at the airport and transfer to the chalet, to gear rental (and lessons for those who wanted it), and daily breakfasts and dinners, it was a breeze. Most people on the trip were complete strangers at the beginning, but quickly become friends. The organisation was great and so was the food. But what really made this trip exceptional was the location: the skiing in Serre Chevalier was unbelievable. 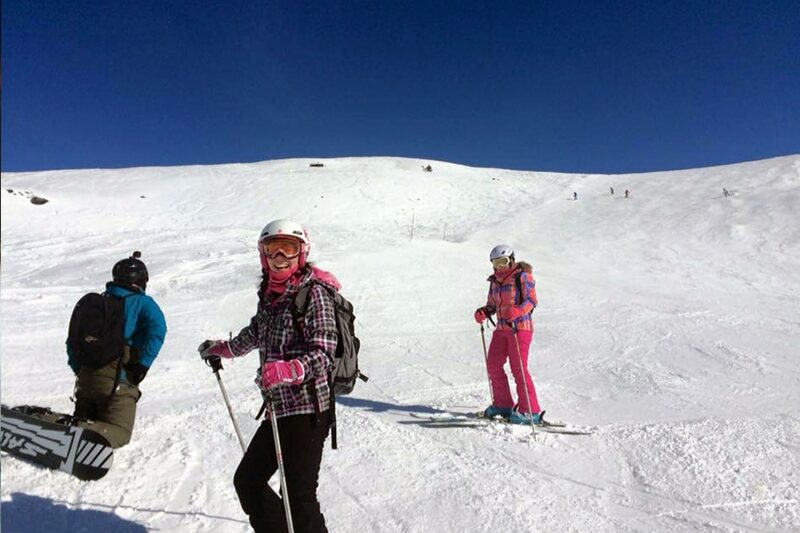 The ski resort is fabulous and even without fresh snow it was great skiing! I plan on joining Go Beyond Adventure again next year if the trip takes place again.